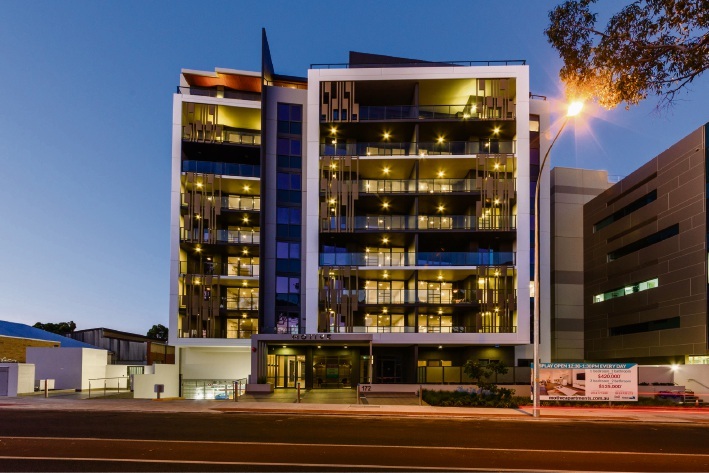 The completed Motive development in West Leederville. 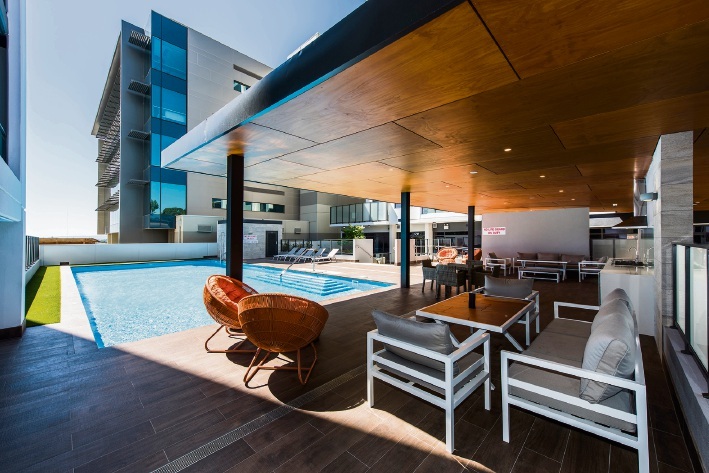 FINBAR’S Motive development in Railway Parade, West Leederville is complete, with residents moving in and making the most of the amenities and location. Selling agent Chris Tonich said West Leederville was becoming an increasingly popular suburb and he had seen high demand for the apartments. “There aren’t many new apartment developments in the western suburbs and West Leederville is quickly taking over Subiaco and Leederville as the new haven for foodies and lovers of great coffee; and Motive is in the heart of it all,” he said. The development has 143 one and two-bedroom apartments over two buildings, with communal facilities including a 16m solar-heated pool, bar area, gym, pool lounge, barbecue area, games room and sauna. The apartments have beautifully designed open-plan living spaces, Blanco appliances, stylish colour schemes and clever storage options. Anna Durante bought a two-bedroom, two-bathroom apartment on the seventh floor of the complex. “Being a Finbar development, I knew the standard of the design, workmanship and attention to detail was going to be high,” she said. “But what initially drew me to look at Motive was the location. “I briefly lived in a house in the area and I fell in love with West Leederville. “It has really transformed in recent months and has lots of great cafes and as I’ve started to explore the area I’ve found a number of beauticians and other shops I didn’t know were there. A limited number of apartments are still available, with one-bedroom apartments priced from $420,000 and two-bedrooms, two-bathroom apartments starting from $535,000. 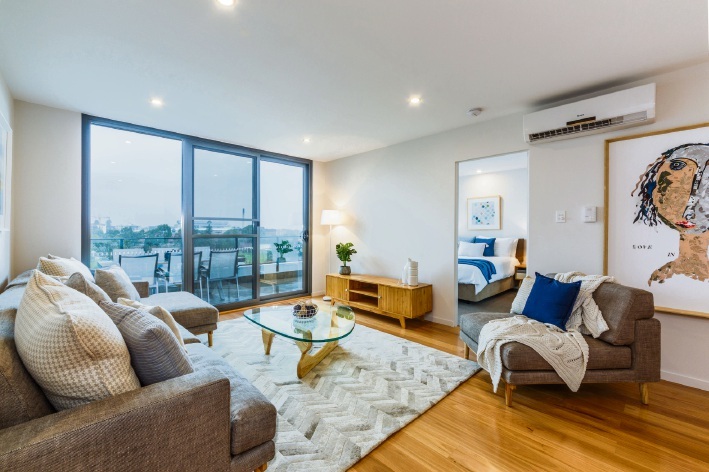 For more information visit www.motiveapartments.com.au or contact Chris Tonich on 0411 774 168.